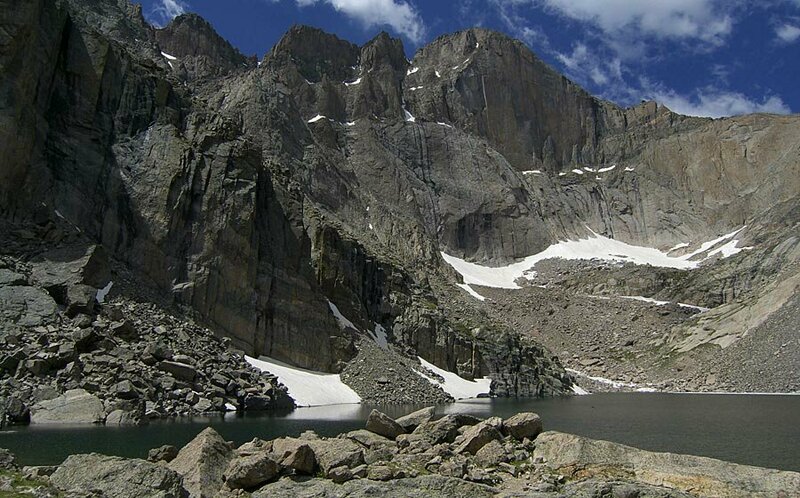 This is Chasm Lake, with Longs Peak towering above it. The lake is above treeline at about 11,700 feet and there isn't much green surrounding it. I've seen prettier alpine lakes but the views along the way are spectacular and it's a great hike. Round trip time was about seven hours allowing an hour at the lake for lunch.